Join us to celebrate patio season with a series of hands-on nights with our food and wine friends Wednesday evenings, 5-8pm. George O’Neal, Lil’ Farm, grows the best strawberries around on his Hillsborough farm where he grows produce and flowers based on a simple philosophy: NEVER WHACK. 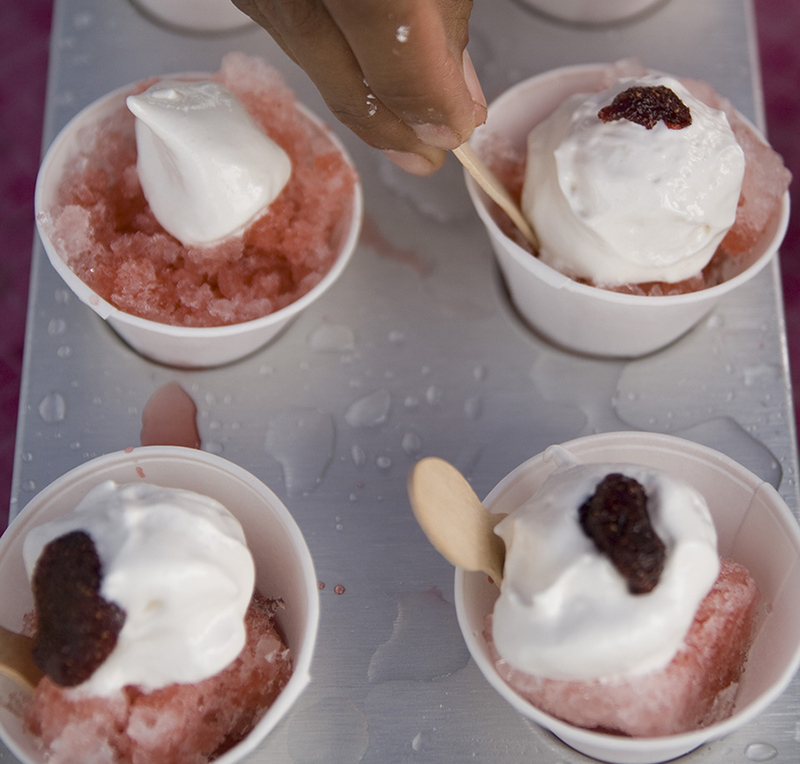 He’ll be joining us on the patio shaving ice the old-fashioned way and serving it with with his strawberries. Reservations accepted but not required: 919-768-8831.